Once you have adopted your pet, you more than likely will want to register them with a veterinary practice local to where you live. The link below takes you to the Royal College of Veterinary Surgeons (RCVS) website and their "Find a Vet" page where you can search their database of veterinary practices to find one near you. 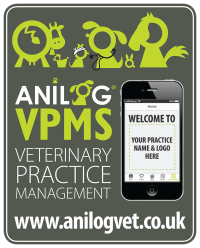 The RCVS "Find a Vet" page will also be very useful if you are moving house and need to find a new veterinary practice to register with. Or, as happened to one of our Pet Adoption UK team, be on holiday and need to find a veterinary practice local to where you are staying. We would like to take the opportunity to thank the RCVS for allowing us to add this link to the Pet Adoption UK website.